Dean Dilson Rassier with Ryan Golt and Stephanie RossyThe mission of the University Advancement office is simple. 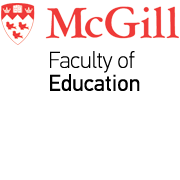 First, we want our alumni to feel a strong connection to McGill and the Faculty of Education. Through workshops, lectures and special events our aim is to foster a lifelong connection between the University and its graduates. Second, our objective is to raise funds - through our annual fund program and major philanthropic gifts - to support our outstanding students and Faculty. Have an immediate impact on the areas that matter most around the Faculty, by providing flexibility to respond quickly and meaningfully to students and faculty needs. Help remove financial burdens from deserving students, allow the Faculty to remain competitive by attracting top students, and reward students for going above and beyond in their area of study. Support the Faculty’s outreach projects to communities in Montreal, Quebec, and around the world. Annual donations help the Office of First Nations and Inuit Education partner with over 70 Indigenous communities across Quebec to deliver high-quality, in-community teacher-training programs.